Chip and Dale are back. According to The Hollywood Reporter, Disney is rebooting the ’90s animated TV show Chip ‘n Dale: Rescue Rangers for a live-action feature film. 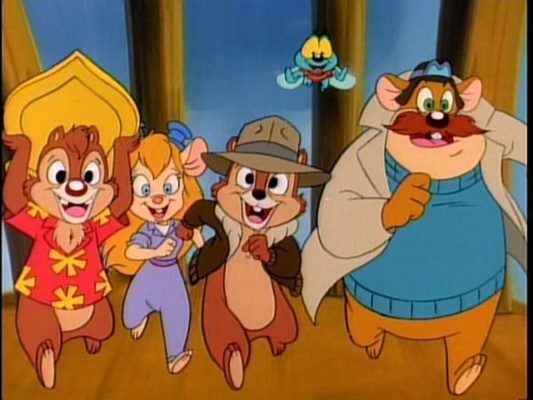 Rescue Rangers aired on The Disney Channel from 1989 to 1990. The series featured the two chipmunk leads as detectives. The film revival will apparently feature a combination of live-action and CG animation. The idea comes from Robert Rugan, who will also write the project. What do you think? Did you watch Chip ‘n Dale: Rescue Rangers as a kid? Would you watch a feature film revival? More about: Chip 'n Dale: Rescue Rangers, Chip 'n Dale: Rescue Rangers: canceled or renewed?, Disney Channel TV shows: canceled or renewed? isn’t this the article that was posted a few years ago when the project was first announced? Does this mean the project is still alive at Disney? We had a glitch and it is an old article. No new news that I’ve been able to find.